Get cosy with this wonderful, warming Pear and Ginger Crumble. Mother Nature helps us keep toasty in the colder months with the aid of heat producing spices like ginger and cinnamon which also make a perfect flavouring for autumnal and winter produce like pears. The humble crumble is elevated by the combination of fresh, in season pears, with the warming spices and the buttery, oat topping that make this unpretentious dish burst with flavour and at the same time, calm the soul. Enjoy warm or cold for breakfast or dessert with cream, ice-cream and/or custard. 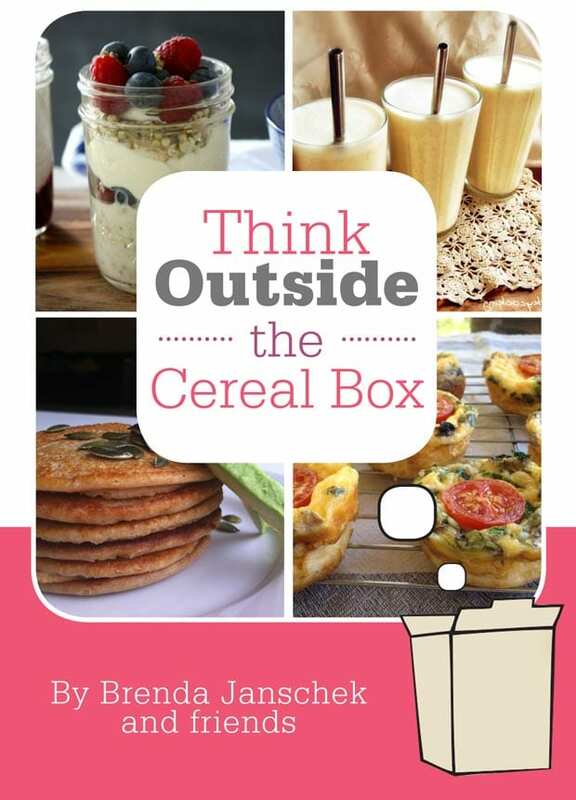 If you’re looking for more recipe inspiration, take a look at my new recipe ebook which is getting rave reviews, Easy Wholefood Lunchboxes. 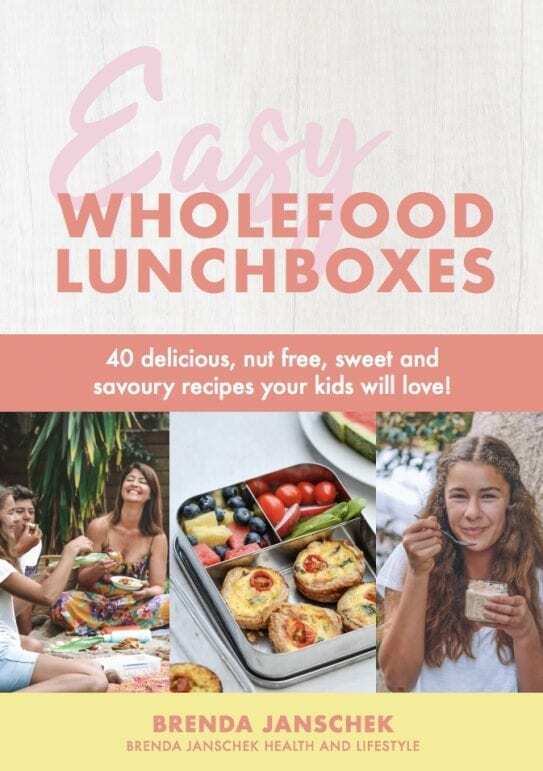 It’s packed with 40 delicious nut-free, refined sugar free sweet and savoury recipes which have all been kid-tested and approved! Preheat the oven to 180 C. Butter an 20cm x 25cm baking tray. Combine the sliced pear, lemon juice and ginger in the baking tin and sprinkle the crumble topping over the pears. 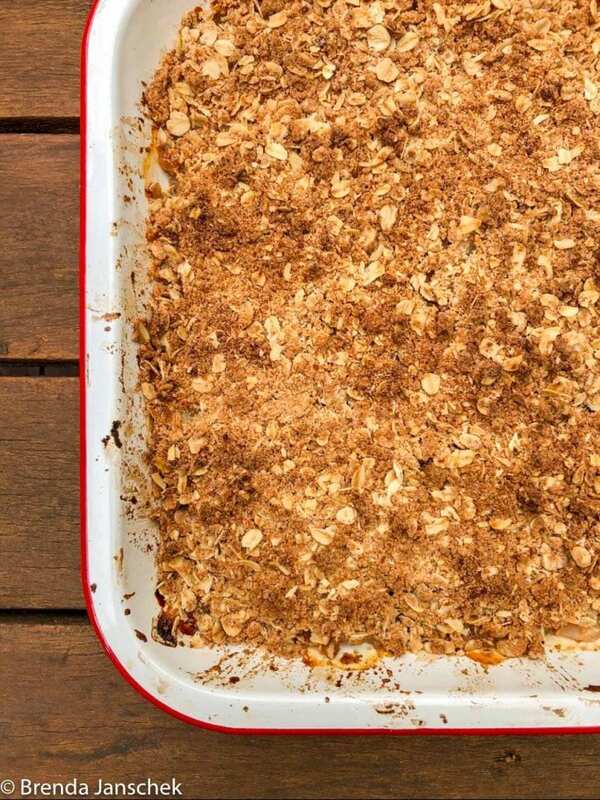 Bake crumble until the pears are tender and the topping is golden brown, about 30 minutes. 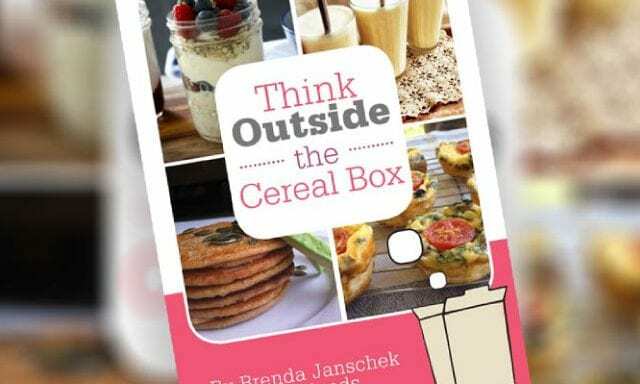 Other similar recipes you might like are Raspberry Coconut Squares and Apple Crumble Slice.